Did I Ever Tell You About The Time I Caught A Shark? Some of you might have seen one of the pictures on my last post of a guy holding a pretty small shark. 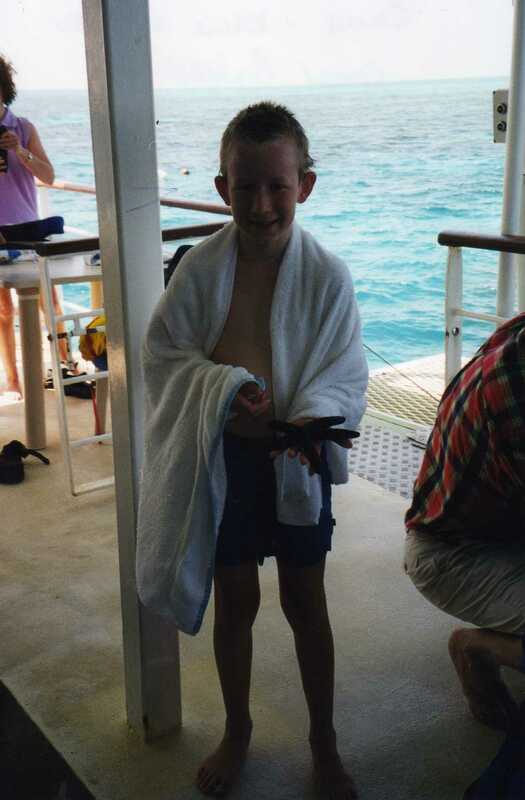 I have a suspicion that most of you would struggle to believe me if I told you I caught that shark. “Sure Chris, if you caught that shark where are the pictures of you with the shark?” I hear you ask. It’s the 26th of April 2001. 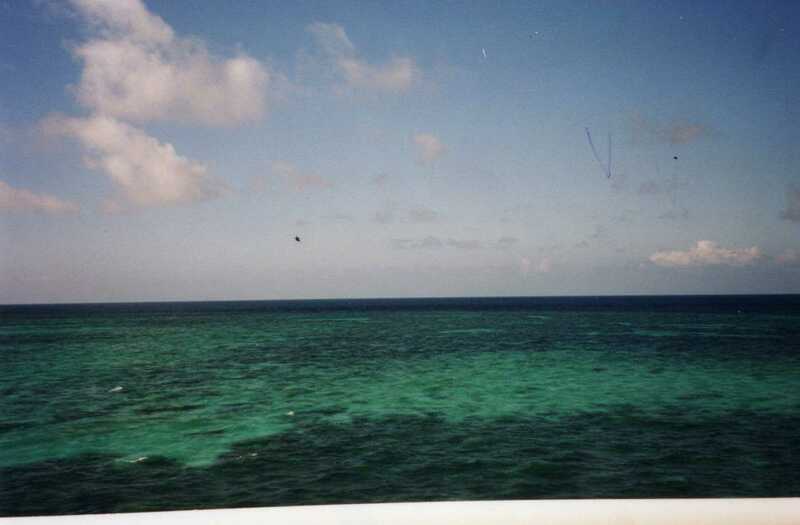 I’d been on the cruise ship Coral Princess II for two days, having spent a large portion of that time snorkeling through the coral seas at various points along the length of the Great Barrier Reef. Evening came and we were invited to the back of the boat to partake in some night fishing with some of the crew. I’ve never been much of a fisherman and I’m still not really sure of the appeal but this was set to be a night to remember. Some of the other younger passengers landed fish very early on and as the sun set we began to see large, rather ominous grey and white shapes lurking just below the surface. 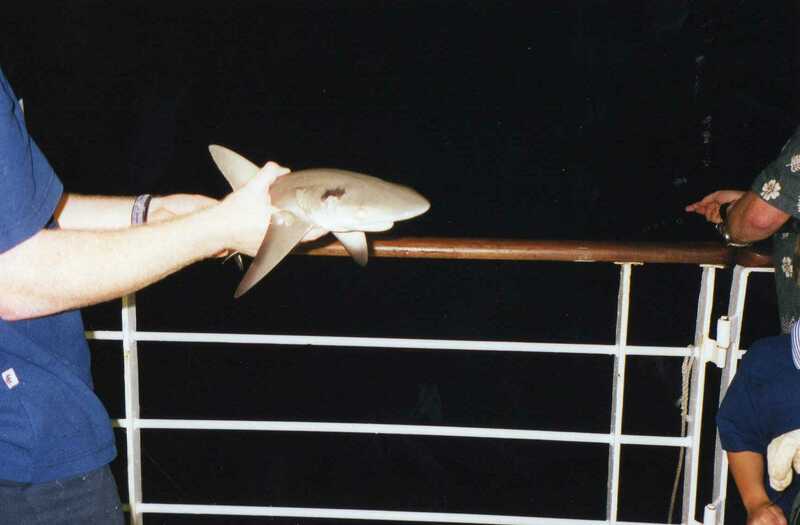 I can remember two of the other British passengers joking about catching a shark and I’m fairly certain there was a bet made on who would catch the one first and that somebody owes me some money. A little later, my sister thinks she’s got something big on her line. We never find out quite how big as what ever she had broke her line and she was left with raw fingers from fighting a losing battle. The night drew on and eventually, I had a bite. This was the first time I’d felt anything on my line and I was desperate to find out what I’d caught. Some of you will know that there’s not a lot of me and when I was 12 there was even less and I can tell you that a young grey tip reef shark is more than a match for a young boy. That same shark though, is no match for a mother and son. Between us we managed to overpower the shark and bring it up on deck. With the shark on deck, one of the crew, Pete, unhooked the line and held it up for us all to have a better look. I was nervous to say the least. He offered it to me and said “do you want to hold it?” I promptly said no thanks and took a photo instead before Pete cast the shark back in to the ocean. Sharks aren’t cute by any stretch and I had no real desire to get any closer to this one than necessary. The following morning when more snorkeling was in order it took some persuasion to talk me back into the water. I’d seen the shapes swimming in the dark and I’d seen what they were. I knew that what we’d caught had only been a small shark and I also knew how big sharks could be. I wasn’t too keen to get back in among the action. Eventually I did overcome my fears and enjoyed a final few hours in the water before we returned to the boat and eventually back to Cairns to end the cruise. Alright, fine. There isn’t any pictures of me with the shark. I’m still a little nervous around open water now, maybe if I’d had a little cuddle with that shark I’d have less fear and maybe a slightly better story. I had felt the power in the shark on the line though and I had absolutely no confidence in my ability to hold on to it with my bare hands. 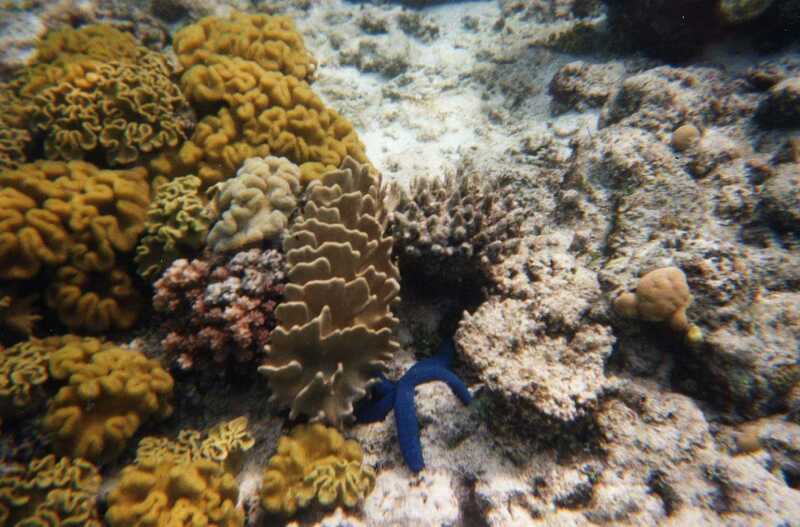 I did hold a blue sea star though, those little guys aren’t so tough!